Incumbent telecom operators and Reliance Jio on Friday called a truce on the contentious issue of interconnect bandwidth. Reliance Jio had been asking for a large number of points of interconnect (PoIs) from the incumbents, which had refused to do so, saying the latest telecom operator was yet to launch commercial services. A large number of voice calls were terminating on networks of incumbents because Jio was offering its services free, leading to asymmetric traffic. The incumbents were not releasing interconnect bandwidth because they considered the free voice calls offered by Jio equivalent to “predatory pricing”. After a meeting called by the Telecom Regulatory Authority of India (Trai) on Friday, the warring parties said they had arrived at a solution. Representatives of Airtel, Vodafone and Idea said as Jio had announced a commercial launch from September 5, it should submit fresh demand for PoIs. Jio representatives also agreed that the company would not terminate internet telephony calls on existing PoIs. According to sources, Trai officials told the telcos that if customers were made to suffer because of the tussle, it would take action against erring operators. 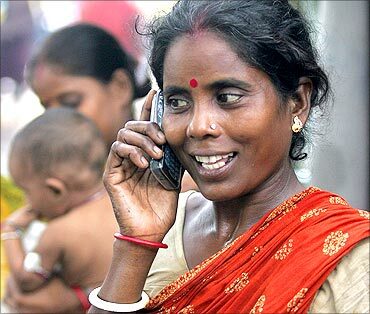 “It is better telecom operators sit with each other and sort out the issues,” said the Trai official. While the incumbents tried to link the issue of PoI with IUC, Trai said the two were separate. A war of words had broken out between the incumbents and Jio since June as the former refused to grant more interconnect bandwidth during the trial phase. In the meeting on Friday, Trai made it clear that the matter was a bilateral one and Jio would have to enter into agreements with the incumbents for PoIs. Incumbents told the regulator that free voice calls offered by Jio were in violation of Trai’s 30th amendment to the Telecom Tariff Order. The 2004 amendment states that tariffs should be non-predatory, non-discriminatory and IUC-compliant. India's largest telecom operator Bharti Airtel in a statement wrote: "We are grateful to Trai for enabling a constructive dialogue today on the matter of providing PoIs to Reliance Jio and appreciating all the issues on the table. We would request Trai to also engage on the subject of a fair IUC regime and ensure that the practice of pricing is in compliance with the 30th amendment of the Telecom Tariff Order dated January 16, 2004, which envisages tariffs to be IUC-compliant, non-predatory and non-discriminatory." The big three operators - Airtel, Vodafone and Idea - argued that if mobile termination rate was 14 paise, then the tariff should be more than that. Incumbents have asked Trai to examine this as it would lead to abnormal traffic and meeting the humongous demand for PoIs would be difficult. Given that Jio's tariffs are priced below IUC, the company was suffering a loss of 16-18 paise every minute on calls. As most of the incoming calls are terminating on incumbents network, they are suffering losses as their users were not making calls to Jio's network. Normally, IUC works on the principle of barter where share of traffic is presumed to be equal.